Google has updated their Android keyboard today with a collection of handy new features, including a one-handed mode that makes it easier to type on large-screen devices like the Nexus 6P. In the new version of the Google Keyboard, which is now available to download through the Play Store, the one-handed mode can be accessed by long pressing the comma button and swiping right. With the mode active, the keyboard truncates to either the left or right side by a small amount, making the keys on the far side of the device easier to reach. Other new features have made it in to version 5.0 of the Google Keyboard, including a height adjustment feature for the entire keyboard, and the ability to display key borders. In previous versions of the keyboard, there were no visible lines between each of the keys, which doesn't impede the keyboard's performance but can look a little strange. In this latest update you can make the keyboard look more conventional. New gestures can be found in the Google Keyboard as well, such as deleting an entire word with a quick left swipe, and moving the cursor by swiping left or right on the space bar. Google has also made it easier to access the numpad and emoji. 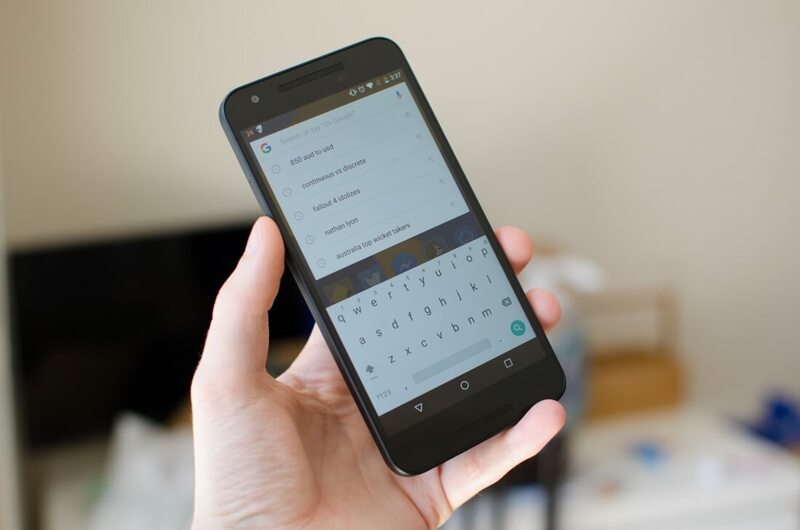 The Google Keyboard is the default keyboard on stock Android devices like the entire Nexus line, but it's also available to download on any Android device through the Play Store. Like with most Google app updates, the new Keyboard is rolling out in waves, so you should be able to download the new version on your device in the coming days.